As the end of the year is upon us, Cultivated Sound wanted to leave you with something to ensure it either ends or starts off right. Nicuri is a legend in his own right and someone that we find as a great source of positivity and inspiration. He delivers with this mix the way he delivered at our first warehouse party years ago and on release after release. We are proud to finally be able to feature him as CSS038 on our Cultivated Sound Sessions and hope to keep bringing more and more heavy hitter in this series as we grow. A lot of these tracks blend into a hodgepodge of delicate sequences as well as wild movements into a perfect storm of techno and house the way we always bring it. Cheers to 2016! Enjoy. 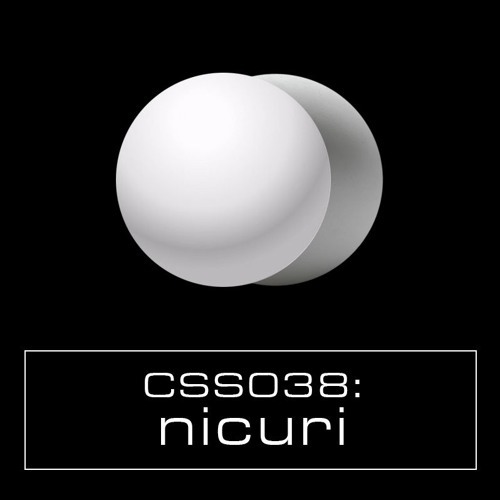 Nicuri https://soundcloud.com/nicuri https://www.facebook.com/nicuri007 Tracklist: 1. Red_Sky_Robag_Wruhme_Remix - AUDISION 2. You_I_Cube_Alternative_Remix - GREG KOZO 3. Chernaya_Lakhta_Original_Mix - NOCOW	4. The_Blurry_Mist_of_Yourself_Original_Mix - SEBASTIAN MULLAERT 5. Shaban_Jonas_Kopp_Remix__Digital_Only - SEV DAH	6. AX15_Original_Mix - ALEX DOLBY 7. Vision_Johannes_Heil_Remix - RADIO SLAVE 8.The_Sossial_Original_Mix - JUAN TRUJILLO 9. Filaments_Original_Mix - FARCEB 10. Our Father - SIGHA 11. Shell_Original_Mix - SIMONE TAVAZZI 12. Feel_Rework_Original_Mix - ANSWER CODE REQUEST 13. I_Believe_Original_Mix - OCTAVE ONE	14. Love Overdose (Hubba Bubba Mix) - D.M.S.